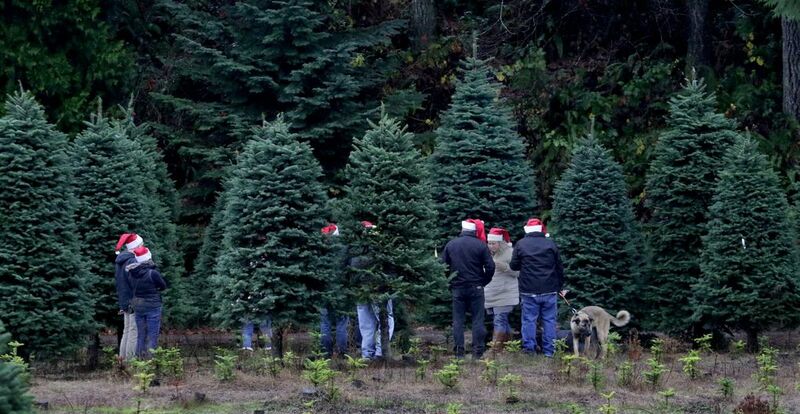 A trip to a Puget Sound-area Christmas tree farm can be a bonding experience. 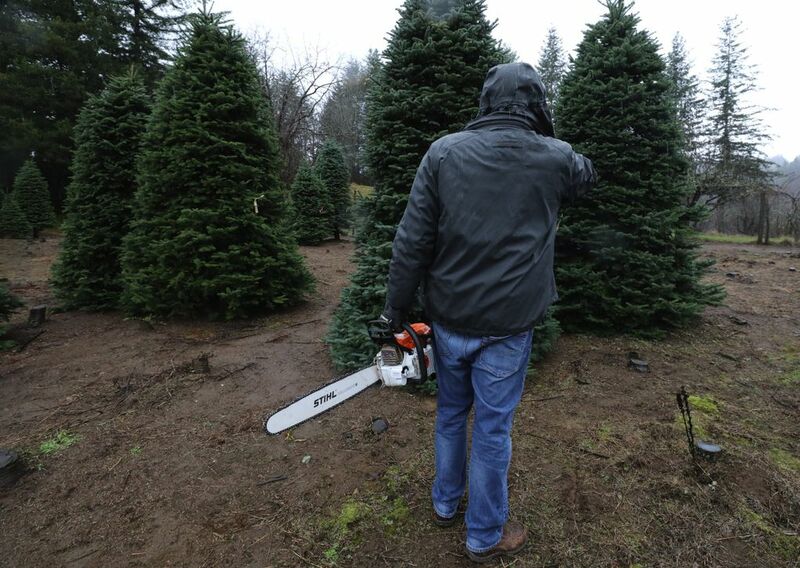 In North Bend, the families cutting down these trees spoke of the fresh scent that would soon fill their homes. 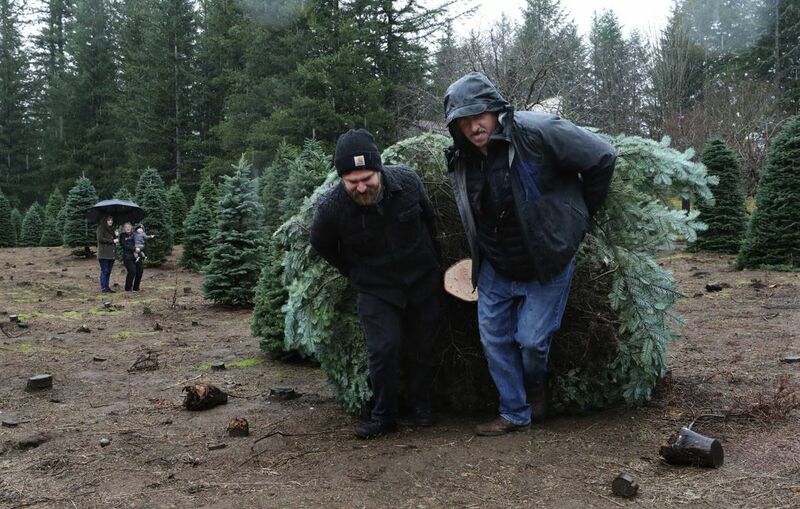 The word rang out repeatedly across 20 acres at Christmas Creek, more in jest and symbolic tribute than the traditional logger’s warning that a tree is coming down. 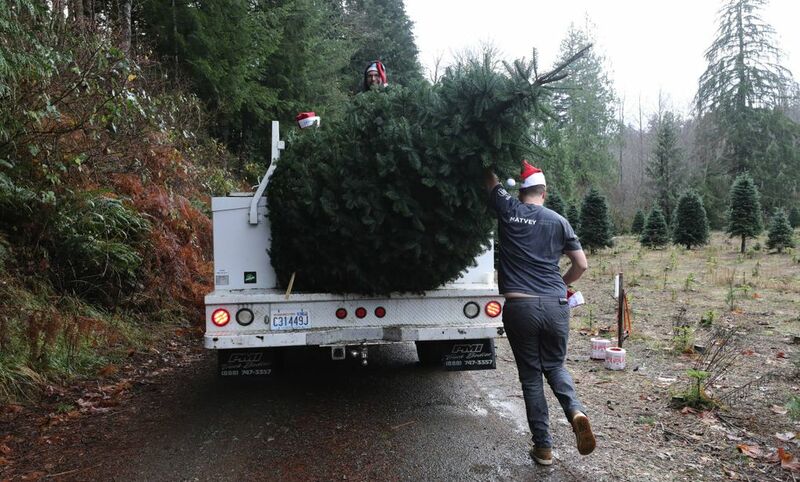 That’s because the trees being cut here are not 200-foot Doug firs headed to the mill. 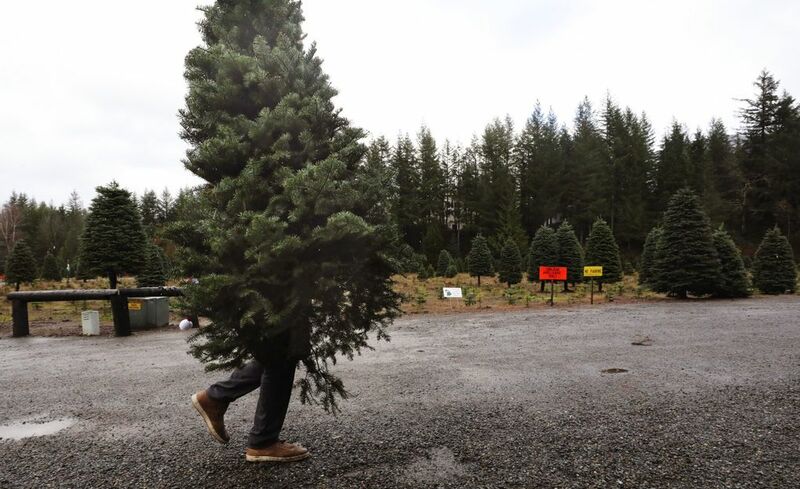 Most are 6- to 9-foot noble firs grown on this tree farm in North Bend, destined for a seasonal life in living rooms or offices. William Wayne knows how to do this. At 91, he brought a ground cloth to kneel on as his wife, Rose, pulled the noble back slightly to help keep open the hand-sawn cut. Wayne attacked the trunk with vigor, wearing his leather commemorative jacket recalling World War II service aboard a PT boat. Halfway through the trunk, he wanted to switch but Rose reminded him of her knee surgery and that was not going to happen. 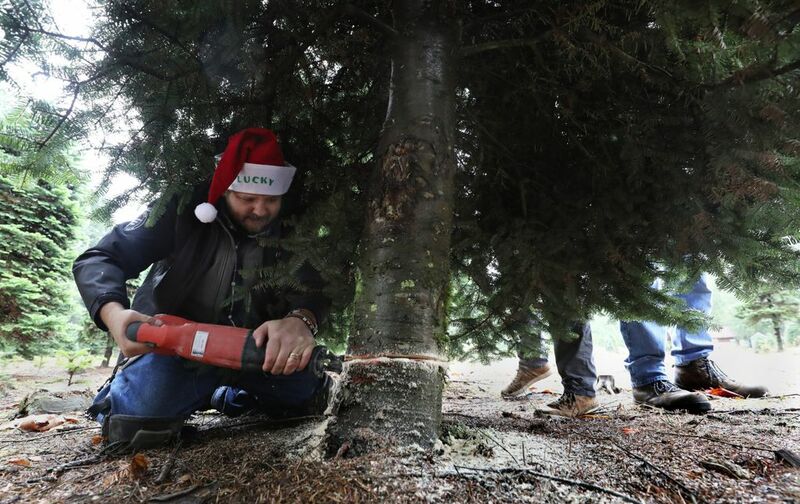 They weren’t far from the shaking-and-bailing operation, so a worker came out with a small chain saw and volunteered to finish the task. 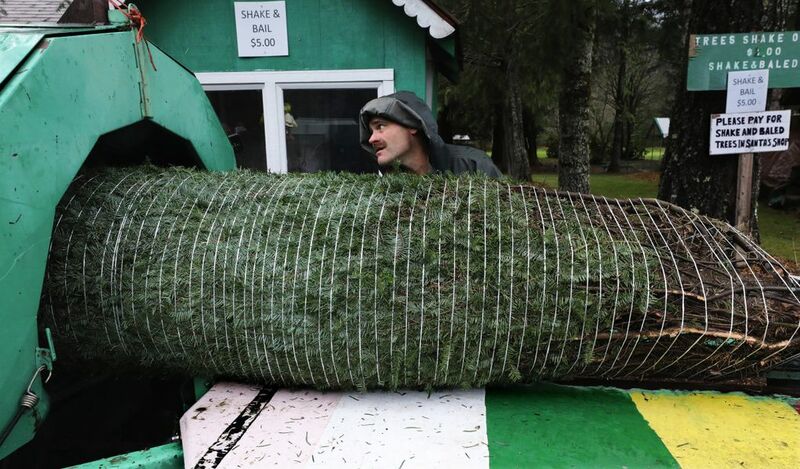 The tree farm was started 38 years ago by Don Douglass. 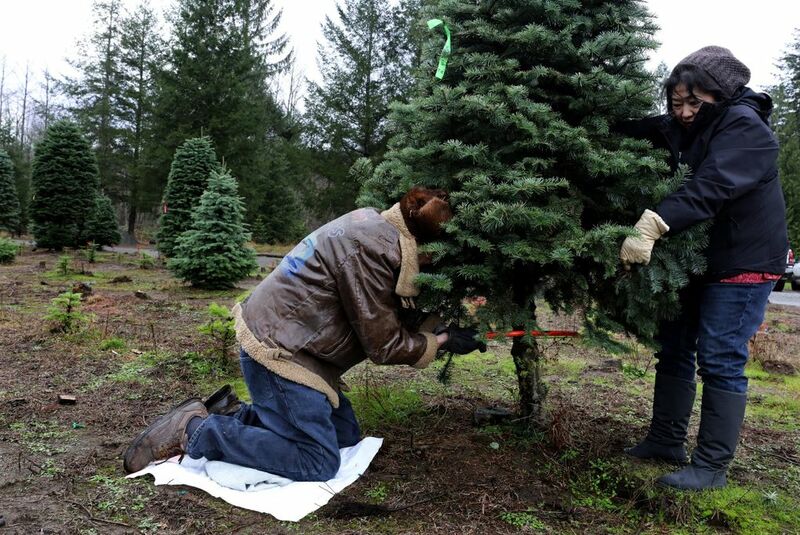 His daughter Connie Douglass Olberg operates it now, and more than 7,000 trees are grown there. 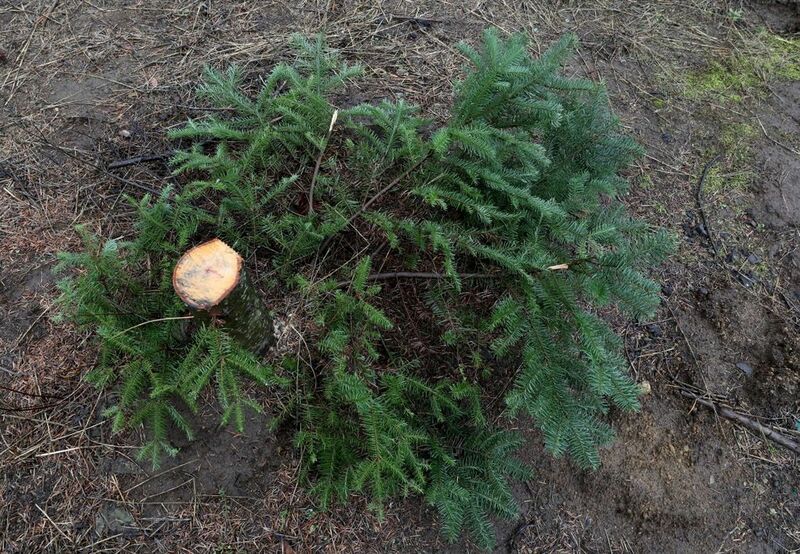 “My dad brought us out in the woods to cut our own tree,” she recalls. That was “a happy experience, a wonderful experience” somewhere in the mountains near Snoqualmie Pass. 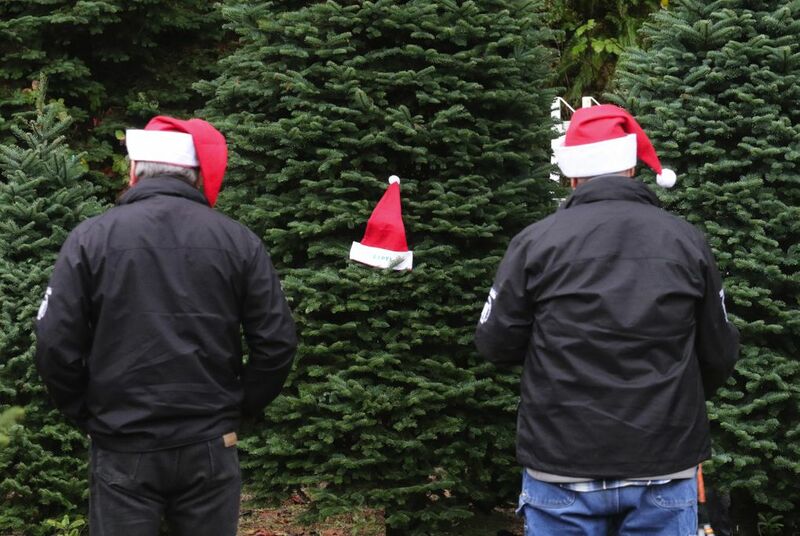 Close to 30 million real trees are sold each year in the U.S., almost all from tree plantations, according to the National Christmas Tree Association. 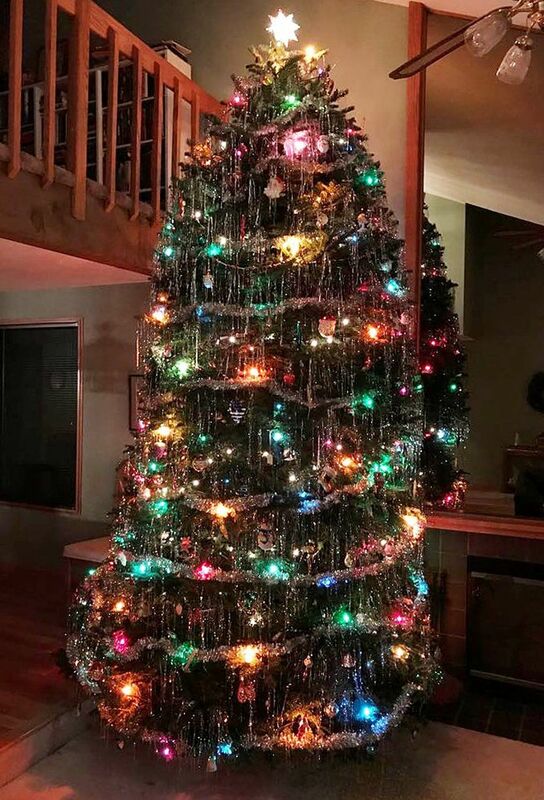 Sears introduced the first artificial Christmas tree in the 1880s, but Germans are credited with developing a tree of goose feathers dyed green in the generation before that. Now there are aluminum trees and plastic trees manufactured to appear more realistic. These can come in the mail or from a mall. No kneeling on the damp ground. Try cutting those down. 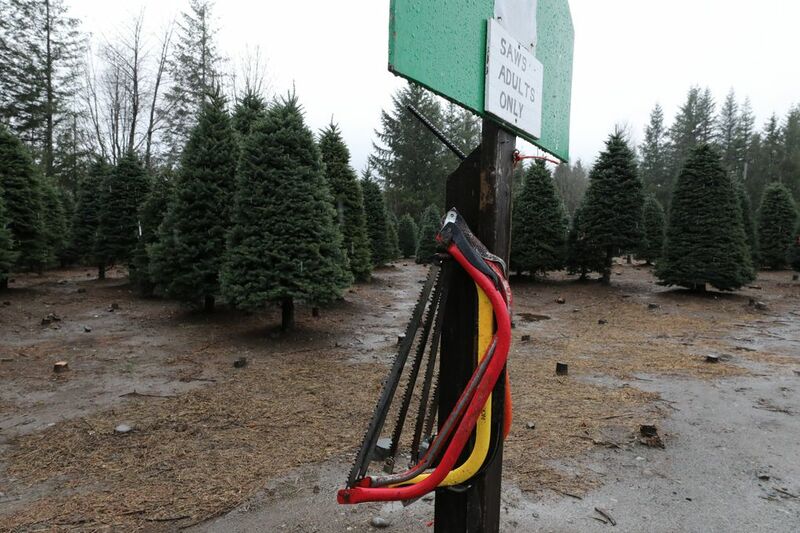 In North Bend, the families cutting down these trees spoke of the fresh scent that would soon fill their homes. No need for artificial scent from an aerosol can. NOTE: Since my visit, Christmas Creek has sold out of this season’s crop. 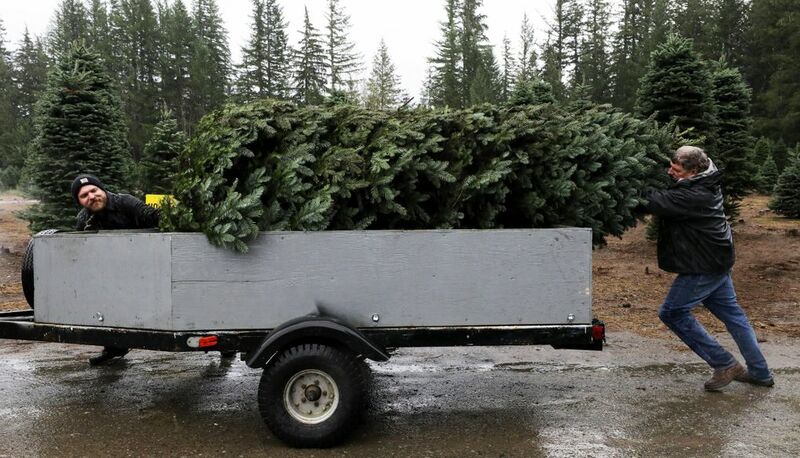 But other tree farms in the area are still open. You can find many here; call first to confirm their supply.